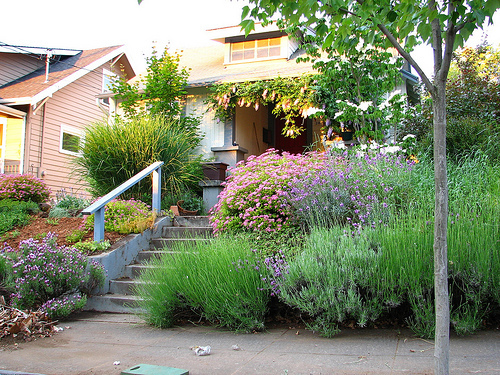 Coming up with front yard landscaping ideas can be a challenge, especially if you are an inexperienced gardener. There are millions of plants and flowers to choose from and countless ways to lay a path or line a driveway. Then there are things like aerating, fertilizing, and mulching, which sound like code words to those of us who are not sporting green thumbs on both hands. 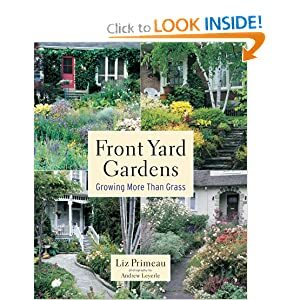 So here is a helpful guide to basic landscaping for front yards that will give you tips and hints for achieving an attractive garden without forcing you to become an overnight expert. 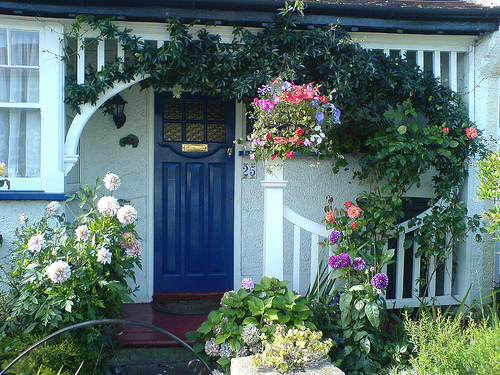 As the main purpose of any front yard should be to welcome visitors and guests into your home, the path to your front door should be a focal point. Make sure that the paving material, whether it is slab concrete, bricks, or flagstones, is in good repair and that there are no tripping hazards such as cracks or uneven edges. Lining the edges of your path with hearty perennials or cheerful annuals can add a nice pop of color to your landscape while making guests feel even more welcome as they walk toward your house. When choosing which plants to use, remember that while perennials will sometimes require pruning to keep them from growing too large, annuals die off after a season and must be replanted the following year. For those who have black thumbs rather than green, there are still several fantastic front yard landscaping ideas that you can incorporate into your own design. People have been utilizing what is called ‘dry landscaping’ into their lawns and gardens for years and it can be a low maintenance alternative to the standard shrubs and grasses. For example, you can replace your turf with an artful mixture of sand, pebbles, river rocks and boulders. And just because the landscape itself is dry doesn’t mean that you can’t have a water element; a fountain or pond can be a great addition to dry landscaping, particularly if you include a faux creek bed as part of your design plan. If you have never actually tried gardening and want to give it a try, there are many varieties of annuals, perennials, grasses, shrubs, and trees that are both hardy and low maintenance that can be perfect for the first time gardener. One of the key things to remember when selecting plants for your yard is that you must buy plants that will thrive in your climate zone. Tropical plants will not survive in areas with freezing winters and most annuals are unable to thrive in extremely hot, arid locations. Before you begin selecting plants and shrubs for your front yard, check a grow zone chart to find out what plants will do best in your local climate. When you begin outlining your front yard landscaping ideas and sketching how things will be laid out, don’t forget these three important tips. Keep your front walkway clean, even, and inviting, select landscape elements that are appropriate to your gardening skill level, and choose plants that are known to thrive in your particular climate. With some planning and elbow grease, you will soon have a front yard that is tailored to your home and your style. This entry was posted in Exterior Design, Landscaping. Bookmark the permalink.